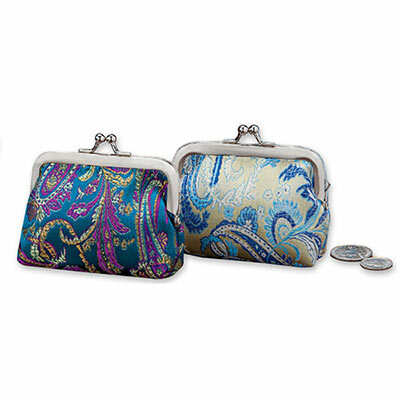 Petite and feminine, this fully-lined Paisley Coin Purse is sized just right for tucking in your favourite handbag. Beautiful brocade front and back with a silver-tone clasp. Polyester. Imported. 3½"w.